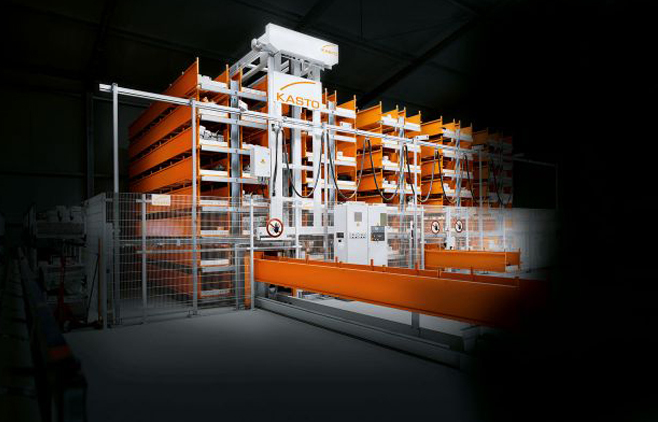 Our Block Systems include two very popular automated storage machines - The Uniportal and The Unitop. The UNIPORTAL allows fast access, is durable and reliable. Due to its modular design, the UNIPORTAL can be extended with no problems in the future. The many possibilities of a station design make the UNIPORTAL an ideal solution for individual material flow systems in a smaller to medium-sized business. 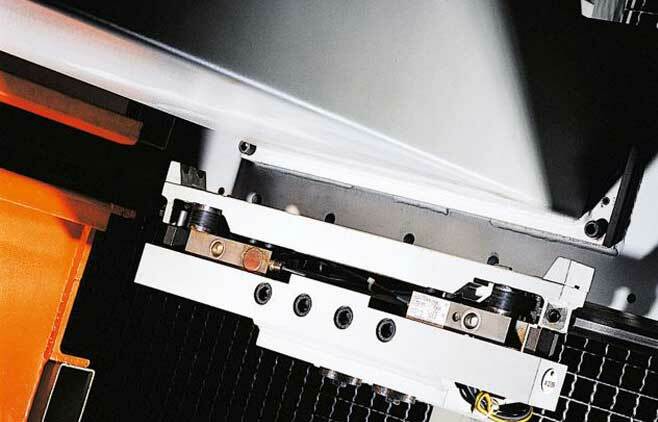 The UNIPORTAL shows versatility: The gantry design allows the move-out of the cassettes in cassette direction in any aisle. Moreover, outfeed stations are available at the front of the system. 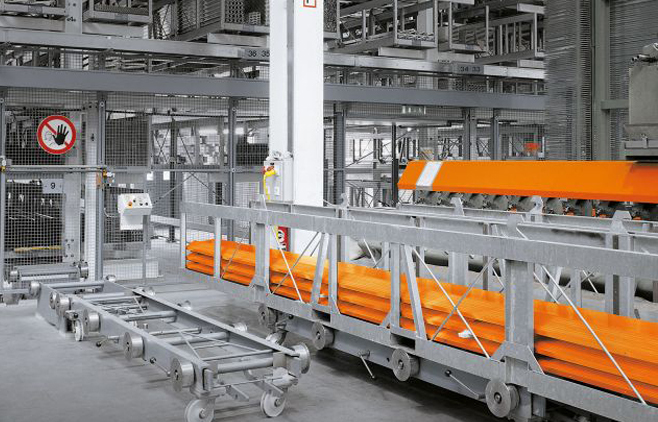 The material loading and unloading stations can even be designed as moving stations. The UNIPORTAL allows fast access, is durable and reliable. Due to its modular design, the UNIPORTAL can be extended with no problems in the future. Only additional shelf blocks are needed. The crane rails will be extended, permitting the gantry crane to be used as is. The many possibilities of a station design make the UNIPORTAL an ideal solution for individual material flow systems in a smaller to medium-sized business. 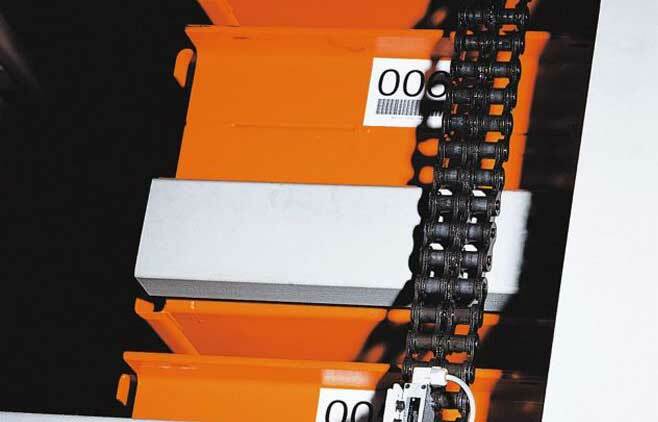 The UNITOP allows a perfect overview of the inventory at any time and is able to deliver the requested bar stock every 120 seconds – depending on system height – to the unloading station. Individually tailored in/out stations ensure the adaptation to the company-specific material flow. 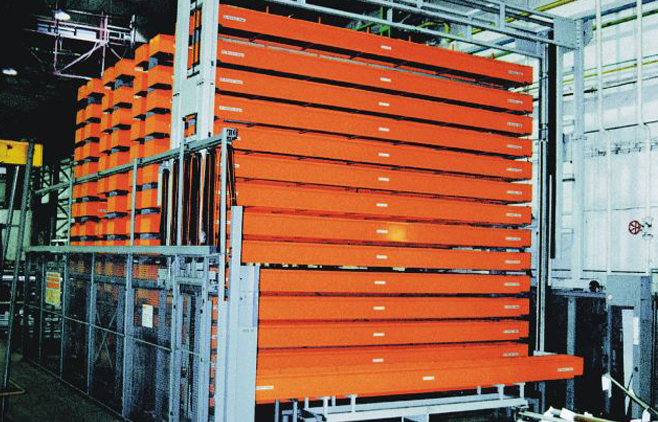 The UNITOP Bar Storage System is a highly efficient and extremely reliable, fully automated system requiring a minimum of personnel. 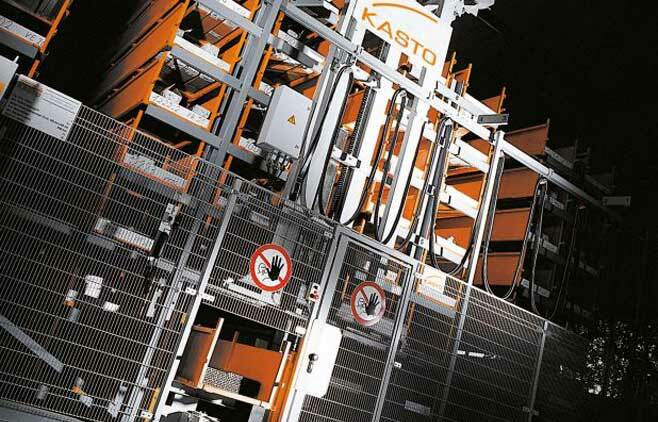 And this for a long time: The virtually wear-free hoists are equipped with precision roller chains to guarantee an absolute minimum of service. 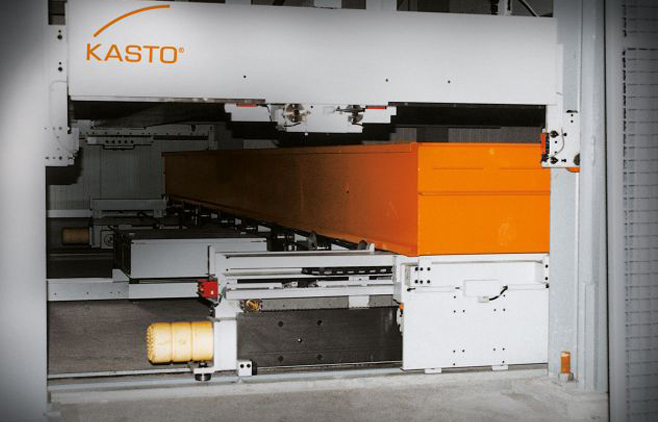 A roof and walls can be mounted onto the steel rack construction. The height of the UNITOP does not depend on the height of the connecting building – and therefore can tower above it. 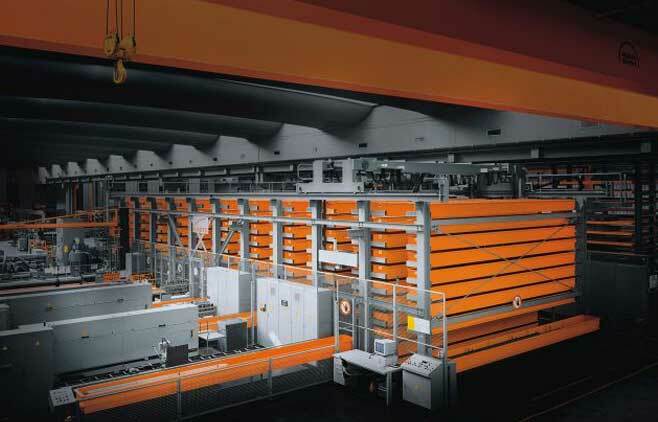 Storing and removing can take place directly at the interface to an already existing production building. This solution might offer some tax advantages.